There were 253 lots of medals and militaria in this sale. 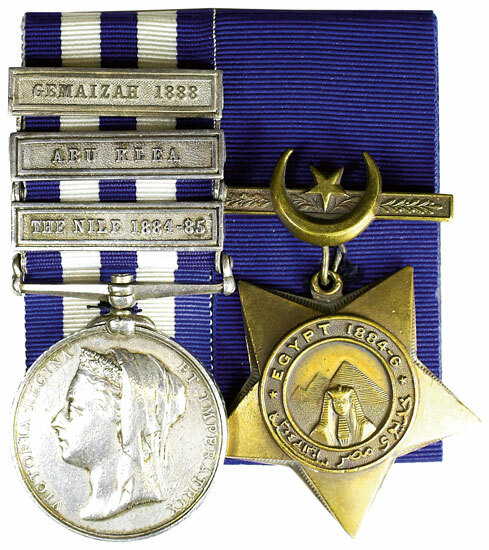 Lot 14 was a rare combination as the soldier served in 2 regiments in the Egypt & Sudan campaigns and sold to a room bidder for £1090. There was a good collection of swords in 19 lots, the highlight being a 1786 pattern infantry officer’s sword with original frayed sword knot. This finally made double the estimate selling to a room bidder for £590. There was also a very good collection of helmet plates and badges in the militaria section with over 50 lots. 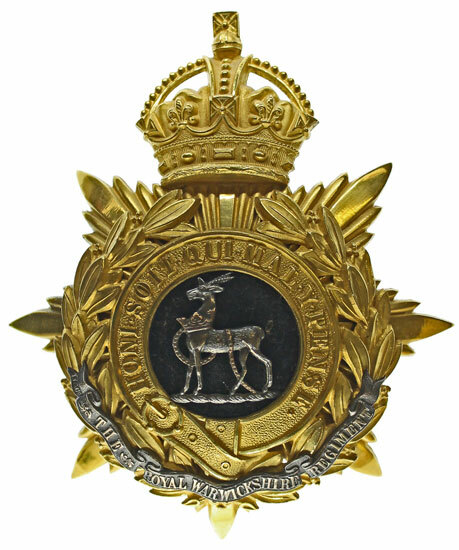 The local connection proved invaluable when a 1902-1914 Royal Warwickshire Regiment officer’s helmet plate made over 3 times the estimate selling for £380. 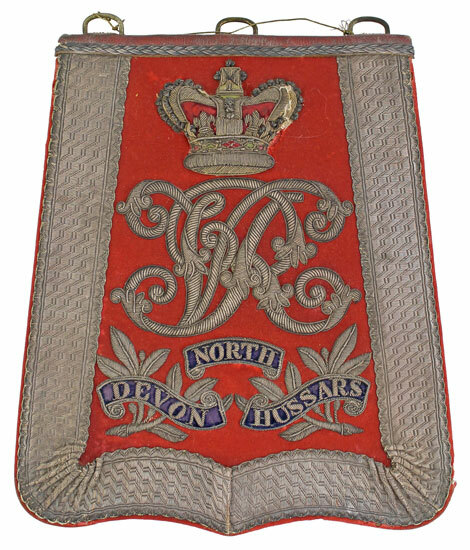 There was another 50 lots of militaria with a QV North Devon Hussars full dress sabertache selling for £767.